Elderberry Syrup is an important part of our winter wellness regimen. With 6 kids, it would cost us a fortune each winter to buy it from the pharmacy. By making it ourselves we know we are not only saving ourselves a ton of money, but I know we are using the best possible ingredients for our family. We love to infuse our elderberry syrup with Young Living essential oils for added immune support and a yummy flavor the whole family enjoys. 1. Add 1 cup of elderberries to 4 cups of water and bring to a boil. 2. Simmer for 30-60 minutes, or until liquid has been reduced by half. 3. Remove from stove and allow to cool. You want it warm enough that the honey will melt into it, but not so hot that the beneficial properties of the honey and essential oils will be destroyed. 4. 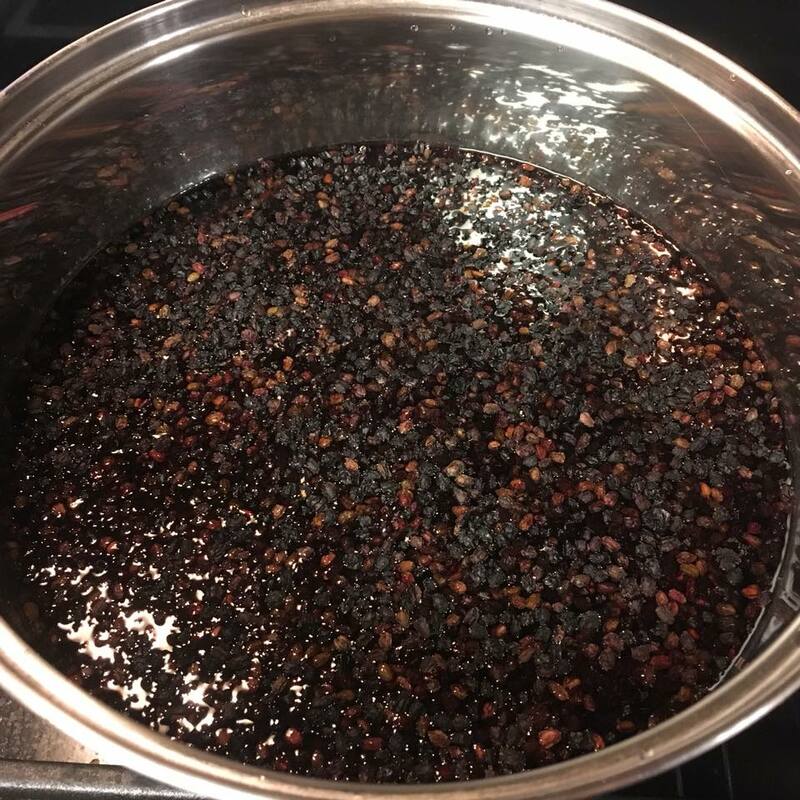 Strain liquid to remove elderberries. 5. Stir in honey and essential oils. We take 1 tsp. per day for adults and 1/2 tsp. per day for children as a maintenance dose. When we feel like we need more support, we will increase the number of doses we take throughout the day. Enjoy!